Mediterranean flavors with the purest of natural ingredients are what the island’s local cuisine consists of. 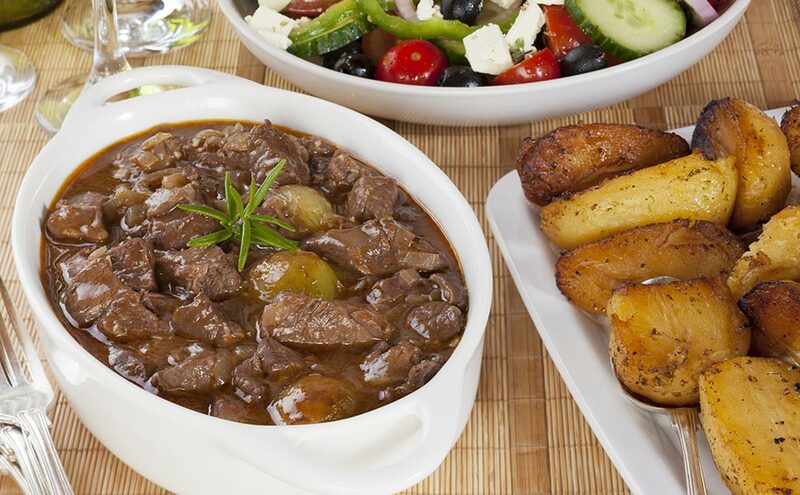 As with all Greek island cooking, Kos hides its culinary secrets in its fresh ingredients, which are in abundance and bursting with nutritional value. The local olive oil, wild greens, wine, yogurt and cheeses, and above all the honey, famed and therapeutic, are the basis for both cooking and pastry making. The island’s abundant flora, with trees and bushes rich in aromas and nutrients, constitute the perfect source for the creation of the unique honey, rich in taste and unmatched aroma. Hippocrates considered honey to be a preventative medicine and praised its beneficial health-giving properties, while fervently advocating its consumption by both healthy and ailing individuals on a regular basis. In addition to its famed honey, Kos produces exceptional varieties of wine and cheese, the most notable being a delicious red wine-cured goat cheese called “tiri tis posas”.